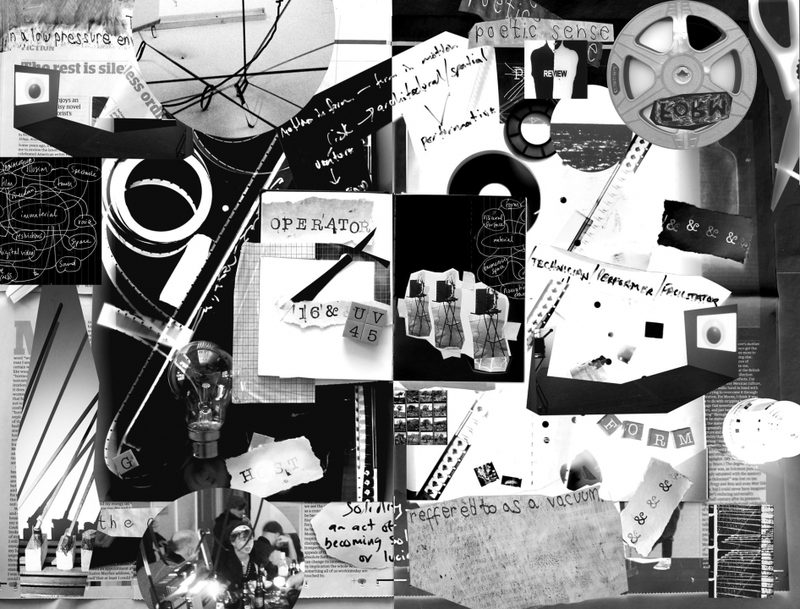 Motion in Form II is a four-day event at the Slade Research Centre, Woburn Square, investigating film and moving image through workshops, live performance, lectures, discussions and a public exhibition of film installations. This event builds upon works and concepts discovered through the original Motion in Form* project. 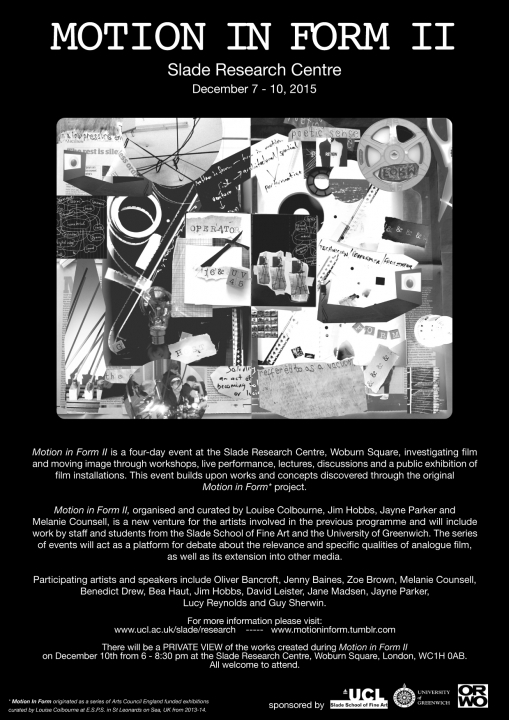 Motion in Form II, organised and curated by Louise Colbourne, Jim Hobbs, Jayne Parker and Melanie Counsell, is a new venture for the artists involved in the previous programme and will include work by staff and students from the Slade School of Fine Art and the University of Greenwich. The series of events will act as a platform for debate about the relevance and specific qualities of analogue film, as well as its extension into other media. Lucy Reynolds and Guy Sherwin. 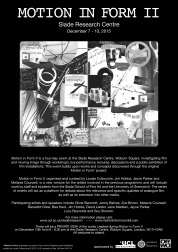 Symposium and Exhibition (Slade Research Centre, Woburn Square) 10:00 a.m. – 8:30 p.m.
3:00 - 4:00 pm Open panel discussion to include Guy Sherwin, Jayne Parker, Jane Madsen, David Leister, Lucy Reynolds and guest panelist Mark Webber. Chaired by Louise Colbourne and Jim Hobbs.